Maddie’s® Shelter Medicine Program is accepting applications for summer 2014 research fellowships in conjunction with the Merial Student Scholars Program. A stipend of $5,000 will be available for the 10-week research period during May-July, 2014. These stipends are made possible by a generous grant from the Humane Society Veterinary Medical Association. We believe that a better understanding of the unique challenges and scientific will empower us all to make better decisions for animals. 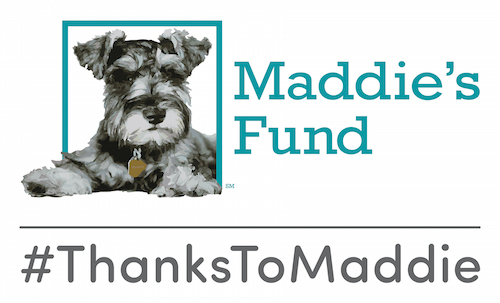 As a summer research fellow with Maddie’s® Shelter Medicine Program, you’ll investigate a question whose answer impacts the lives of animals in shelters and communities across the country. With an emphasis on practical problems and publication of research results, our research is designed to have a positive impact on the lives of shelter pets and the veterinarians who care for them. Students interested in a shelter medicine summer research position should submit a resumé, unofficial veterinary school transcript, and letter of intent via the form below no later than January 19, 2014. The letter of intent should describe your interest and experience in shelter medicine, research experience, participation in the Maddie’s Shelter Medicine Certificate program, and why you would like to participate in the research program. Students selected for the program will work with their advisor to select a research project and prepare a full research proposal to the Merial Student Scholars Program by February 11, 2014. We are proud that the vast majority of our summer projects have resulted in a first-author published papers for the student researchers. That is quite an uncommon accomplishment for a vet student and a credential that will stand out as students prepare for internships and employment. Students in our research program will also participate in any shelter medicine activities the program is engaged in during the summer. This might include shelter visits, cruelty investigations, disease outbreak responses, and more. That’s a lot of work in a short time!! It sure is. Students will start writing their papers in the very first week of the program. We’ll have weekly lab meetings in which students will present their work, receive feedback from their peers, and refine their manuscripts. Getting all the research and the writing done requires full-time attendance during the 10 weeks of the program. Many students find that they are writing some nights and weekends as well. This demanding schedule does not leave any significant amount of time off for travel or other projects. The shelter medicine summer research program should be considered a full-time commitment for 10 weeks. Students are also expected to present posters of their research at the Merial conference near the end of the program and at the Maddie’s® Shelter Medicine Conference in the fall. Applications for 2014 are closed.